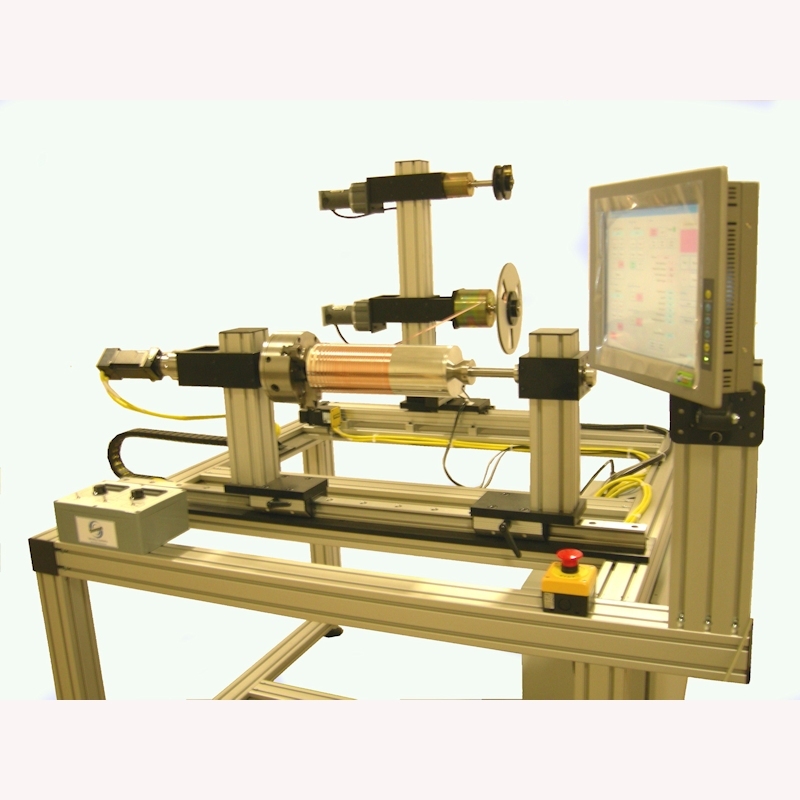 The Simple Take-up System (STS) is a small and easy to use take-up unit that produces neatly wound spools of wire or filament. 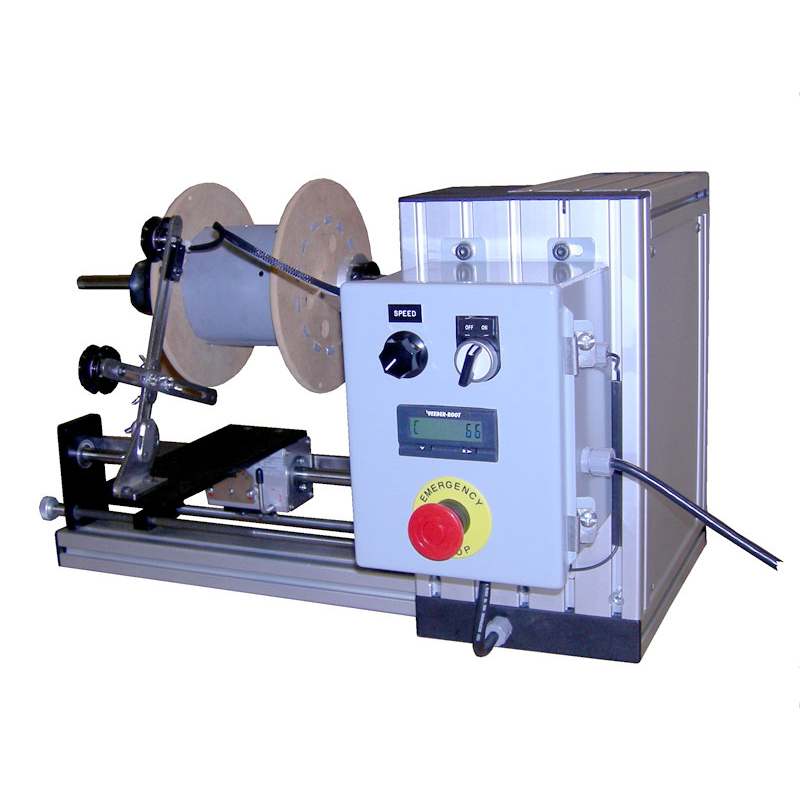 It can pull wire from a payoff spool or be located at the end of a manufacturing or inspection process where it can pull and wind the material with a desired amount of tension. 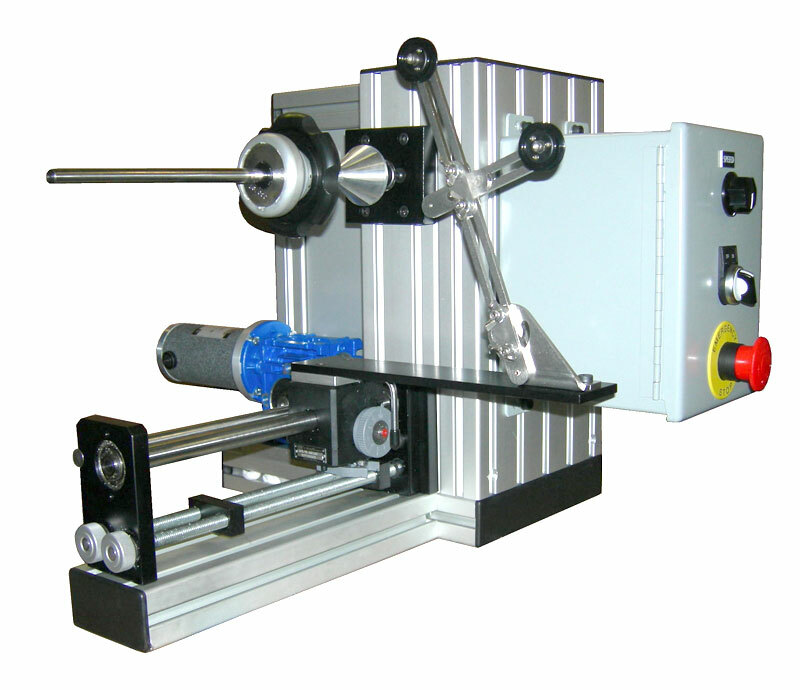 It features a traversing wire guide head that is synchronized with the rotation of the take-up shaft. 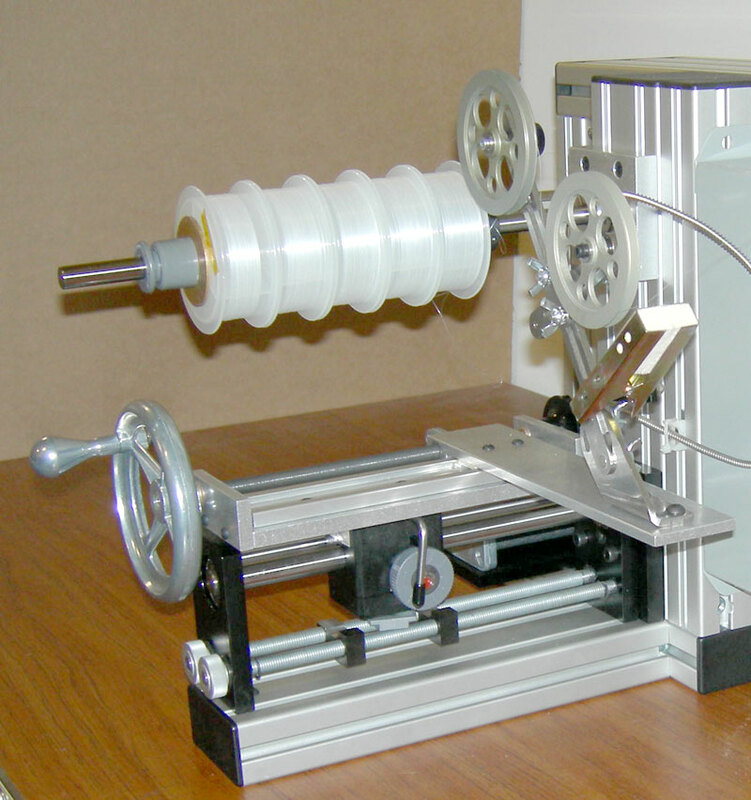 The operator is able to set the winding pitch and traversing window to match the wire diameter and the spool width. The standard control panel includes a speed control knob and a simple length counter. 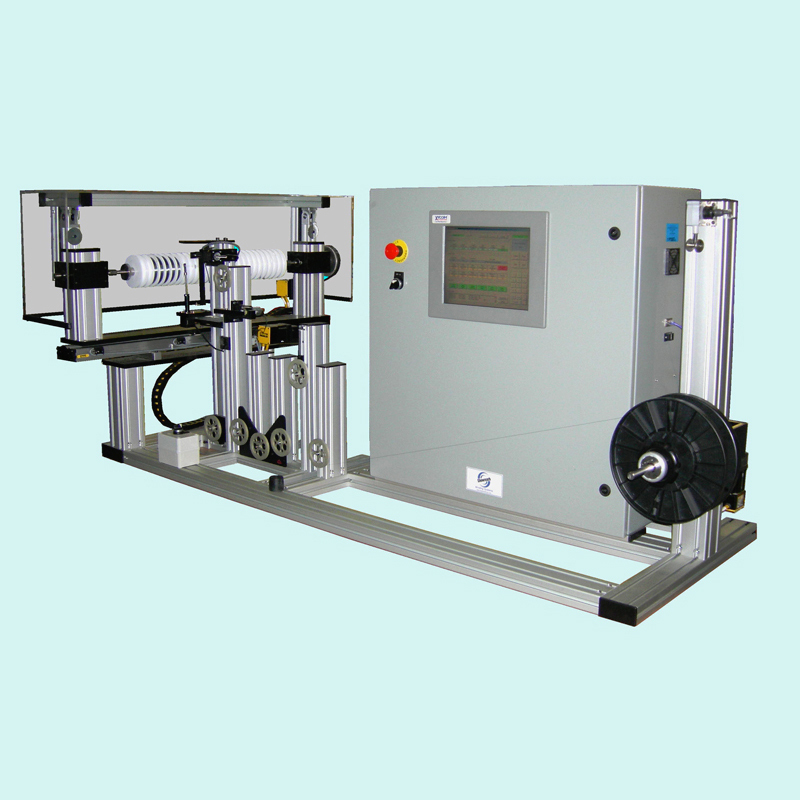 A settable length controller, wire break detection, and magnetic clutch are available options.